So, game 4 and the French are in the mixer for a podium finish - sat pretty on Table 2, against an opponent who's raison d'etre is "sitting pretty" - Lurkio's brand new Nine Year's War figures, in a League of Augsburg Anglo-Dutch army painted and led by Mr Lurkio himself. The LoA-AD army was one that was almost bound to feature throughout the weekend, and probably consisted of loads of Superior 6-musket units with massive firepower. With that in mind we anticipated an army that would be rather smaller than ours, and that there would be a decent number of shot-only units which would potentially be vulnerable to mounted charges - so the decision was made to not do another flank march. We also would need to rely on our artillery to do some damage to the enemy before they closed to shooting distances. When the armies deployed however, the LoA-AD appeared to be larger, and to have a lot more 5+1 Pike and Shotte units than we had anticipated, almost all with Regimental Gunnes as well. Nasty.. The onus was on the French artillery park right from the off.. The French were in theory moving first here, but the movement consisted of loading the artillery and loosing off a barrage at long range towards the distant Dutch and English troops, who's banners were fluttering in a well painted manner in the distance.. Unfortunately it appeared that the range did not include any crew for the Regimental Gunnes, but the Anglo-Dutch were obviously uncaring about this omission and were determined to count the additional shooting and Impact Phase dice anyway. Meanwhile the French, having been used to being at least at eeven POA's in the world of painting quality, cowered embarrassedly at the back as the collective prayers of thousands of Frenchmen all converged on the 5 elements of Medium Gunnes and prayed for them to find their mark against the massed ranks of Superior musketry of the Anglo-Dutch infantry advancing towards them. Finally, the French actually did something other than roll 4 dice for artillery each turn. Seeing that the Anglo-Dutch might expose a flank on their left as they advanced, the French pushed a couple of units forward against them. The Anglo-Dutch had only Average units here, and the French had at least one which was Superior, and some units of Horse, so in theory an advance by the French might force the Anglo-Dutch to turn units to face them, thinning out the main advance in the process as well. Meanwhile the French Dragoons, realising they had been deployed on totally the wrong flank, were making a double-time march across the whole width of the table over to the far flank. With the Franco-German shotte-only unit anchoring the French line in a vineyard, the Anglo-Dutch had pushed a bucketful of Dragoons forwards to try and start picking them off - this was why the French Dragoons were so urgently needed, as their presence could potentially tip the balance back against the Anglo-Dutch Dragoons and maybe even force them into a retreat. The French Dragoons quickly deployed, led by a spare French General (well, with the rest of the army not actually moving as yet, there was nothing better for him to do). Both French units dug into the vineyard ready for a long period of trench warfare as the two units of Anglo-Dutch Dragoons milled around in the distance. The Anglo-Dutch foote were making stately progress across the table, and were as yet almost entirely unperturbed by the repeated barrages of ineffective French artillery fire - only one base had been lost. Time was running out for the French Gunnnes to have any effect whatsoever. The Anglo-Dutch advance is continuing with the French artillery proving ineffectual. The Anglo-Dutch have also started to use their Dragoons to harass the extreme left end of the French line, softening up the French units anchoring their line before the arrival of the main Anglo-Dutch infantry. The French have pushed forward on their right, in a double attempt both to force a combat against some of the weaker Anglo-Dutch units and to try and draw some of the more powerful Anglo-Dutch units away from their steady and measured frontal attack to respond to the flank threat, hopefully weakening the main Anglo-Dutch thrust in the process. The Anglo-Dutch were massing a huge number of infantry units on the left flank of the French army - the Dutch and English soldiers struggled to find room to load their muskets as they crowded together in the approaches to the vineyard, and the French soldiers facing them braced themselves as best they could for a lot of incoming fire.. The French had pushed their Horse through a gap in the line and were faced up against a brown-clad Shotte-only unit in the middle of the Anglo-Dutch line. Beyond them butted up against the vineyard, 2 units of Anglo-Dutch infantry were cautiously moving up into range to fire at the red-coated French Swiss Guards. The rest of the French infantry had moved through their gunnes and started to trade shots with the depleted Anglo-Dutch infantry in the middle, but so far the French had been coming off worse and losing bases along the line, whilst no further bases had been whittled away from the pivotal Anglo-Dutch unit anchoring their centre. The Anglo-Dutch stepped forward into close range, and the English and Dutch commanders consulted. "Shall we give them the volley?" Close range was no place for the French to be trading shots with an army like the Anglo-Dutch - the whole French line, Horse and Foote, charged home in a wild tide of Impact Foote, claiming their hopefully vital POA at impact against the enemy line. Similar bad things were happening in the vineyard, as the Franco-German infantry were engaging Anglo-Dutch infantry to their front and found themselves unable to help out the French Dragoons - who, vastly outnumbered, had lost 2 bases in quick succession and were now routing, leaving the French left flank entirely at the mercy of the Anglo-Dutch combined arms assault. The Anglo-Dutch are about to smash through the middle of the French lines as their higher quality troops prove more than a match for the better impact combat capability of the French foote. The French have no reserves, and all of their cards have been played in the preceeding impact phase. The Anglo-Dutch Dragoons are now free to harass the extreme left end of the French line, making a French collapse their inevitable as well. Even on the French right little seems to be happening as the French Horse and foote combination struggles to find any gaps in the solid line of good quality Anglo-Dutch foote that seemingly covers the entire table. The centre of the French army collapsed, and the Anglo-Dutch unit which had been the target of the French artillery for the entire game jubilantly swept forward and captured the offending gunnes - one combat which had effectively lost the French three units to add to the Dragoons who had gone the turn before. The game was up now for France, and there seemed little chance of a Game Two Ottoman-style recovery this time around! The captured French gunnes opened up on the rear of the French infantry, who's morale was tumbling faster than a Frenchman's appetite when presented with a plate of roast beef and Yorkshire pudding. The Swiss Guards were also taking an inevitable pasting, as good a sthey were, they were no real match for twice their number of Superior Anglo-Dutch troops. The French Horse were also struggling to make much headway against the bayonet-armed Anglo-Dutch troopers. This was looking like a very early bath indeed. The Anglo Dutch were winning through better quality and better number all across a wide frontage of the battle, and the French line was thinning visibly - bowing to the inevitable in slow motion. On the right, the French were at least putting up some resistance, as although the Anglo-Dutch unsurprisingly continued to have by far the better of the shooting at least now the French were occasionally pulling out some remarkable cohesion and death test results to enable the punishment to carry on for a little longer. 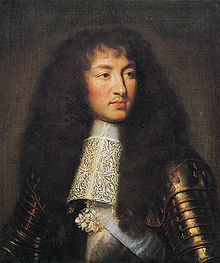 The battle ended shortly after one small victory for the French, as with only one Anglo-Dutch unit broken the French army collapsed to a massive defeat. The Result is utter and total defeat. Well, even I must admit that this game didn't really work out quite in the way that I had hoped, or indeed planned. My expectation was that the high-priced Anglo-Dutch army would be a lot narrower than it actually was, and I also was unpleasantly surprised by the amount of 5+1 Pike and Shotte units that were in it - as were my Horse, who were hoping to have loads of Shot-only targets to ride down and straight over, much as they did with the Ottomans yesterday. Thou art truly a scurvy, old, filthy, scurry lord - I cannot imagine what were you thinking? Line up and let a larger army, with more superior troops advance towards you, with ample reserves, to start the fight at its own choosing - to allow them to 'give you the volley' - which is it must be said, a beautiful phrase. If the enemy had said 'give you a volley, meh, but 'the volley', oh well done sire!.. OK, I must admit with grudging pain in my voice that you got unlucky at the pivotal point, however small curs are not regarded when they grin and like them you were going to get unlucky somewhere and you had no reserves - but thine opponents did, so you were always going to lose..... and to claim that this game did not work out as you had planned is surely the basest lie of all, as I can see no evidence of any sort of plan whatsoever. You had designed the whole army so you could flank march - why did you not do so here? You did not flank march, and then to compound the incompetence you go on to deploy 2 units of horse to wander around in front of their line doing chuff all - Snakes, in my heart blood warmed, that sting my heart! Or stick all your Horse in the flank area where his shot woulds't not want to come and put pressure on that flank whilst pressuring the front with you Superior troops? In fact, just to try to do anything at all, anything better than 'let his massive amount of really good foot advance towards you and hope your 4 guns get really, really lucky - and if that does not work hope to get really lucky with your foot'. Muppets. Its all a learning experience but you really should have seen that one coming you foul spoken coward, that thund'rest with thy tongue, and with thy weapon nothing dares perform. What you lacked in that game (other than 'a competent plan') was any concentration of force, or an attempt to achieve one. This tournament is gone, so sweep on, you fat and greasy citizen, and go back to your foul smelling Kingdom of France - where your subjects will look upon you and ask themselves perchance do they think you Fit to govern? No, not to live!